They are absolutely great and totally what we wanted, so thank you. The client and school will be really happy with them. The photos looked fantastic and I really appreciated your patience, attention to detail and laid back attitude throughout the day! Thank you Steve, they are brilliant! You are very talented – thank you! David and I would just like to say a massive thank you for all you did on our wedding day! We actually cannot thank you enough for all the amazing photos you took on the day, especially when the two main people on the day are incredibly camera-shy!! We both have no hesitation in recommending you to anyone looking for a photographer for any occasion. Steve managed to fit me in at short notice to take a professional photo for my website and was flexible with my request. Very happy with the overall quality. Prompt and reliable service. We were most impressed with both your creative approach to the shots you took today (which are excellent) and the quality of your photography portfolio. We certainly hope we can work together in the future! 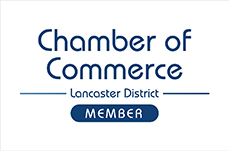 Steve has assisted Lancaster City Council many times over recent years with a friendly and flexible service of consistently high quality corporate photography. I have closely worked with Steve for more than 18 years. The longevity of our relationship speaks for itself. The client always comes first with Steve and he has always produces the goods – first class, imaginative photographs that inspire and which have the edge! Steve is always reliable, punctual, trustworthy, pleasant and always meets deadlines. What more can you ask! I have had the pleasure of working with Steve on a number of client projects over the past year. He has a professional attitude, practical approach and his photos are always of an excellent standard. We would not hesitate in recommending Steve to any of our clients in the future. Thank you for what you did at our Prom. The pupils where all thrilled with the photos. The photos are brilliant. Just what we were after. A very professional, polite and organised wedding photographer. Thank you very much for capturing our special day. Steve never stopped working from beginning to end… He showed non-stop incredible energy and enthusiasm. Faultless. We could not have been more pleased. Absolutely brilliant wedding photographs and album. Steve did an excellent job with our wedding photos – he provided a friendly and professional service…, coped admirably with challenging weather conditions and produced super shots of the day. Many thanks again for everything! Steve was recommended to us and we were absolutely delighted with the whole experience. Sarah and I cannot recommend Steve’s wedding photography service highly enough. He is a thoroughly professional photographer and makes the whole thing completely stress-free. Steve had great ideas for the pictures as he visited the wedding and reception venue beforehand, yet was also happy to meet any requests we had for photos. …the wedding photos we received were outstanding! We were impressed at how unobtrusive Steve was, yet he managed to capture all the moments beautifully….half our wedding guests were Spanish! …Steve managed to capture the relaxed and fun atmosphere of our wedding day perfectly. …everything was done in a relaxed and genuinely friendly manner. Steve achieved all that was required on our wedding day without being intrusive and we both felt relaxed and enjoyed the experience. We can most certainly recommend Steve Pendrill to be your wedding photographer – excellent photos, well planned – Steve is in regular contact with you …so you don’t have to worry – very professional, and extremely good value for money. …one less thing to worry about! …a huge thanks for providing such a natural and stress free record of our special day. You put our minds at rest from day one with your careful planing and attention to detail. Thanks Steve, you got all the pictures that we requested plus plenty more. You weren’t intrusive on our wedding day… We love the wedding album & the photos. …a massive thank you for the photos that you produced of our wedding. …your thorough planning really paid off on the day, as it ran very smoothly. …you managed to capture the day brilliantly. …we couldn’t have wished for a more professional photography service. Thank you for taking such beautiful photos and being so friendly on our wedding day! We were extremely happy with the way Steve managed our wedding day photography and would be more than happy to recommend him to anyone. Thank you so much for the beautiful pictures. You’re a wonderful photographer, Steve. It is always a pleasure to work with Steve. He is very creative even under the most difficult circumstances and is always a consummate professional. I would highly recommend him. I can honestly say you where Superman on Saturday and have the patience of a saint and the determination to get stuck in there and not give up until you achieve that perfect shot!…Thank you thank you thank you!